MachineWorks Ltd are working in collaboration with the Mercury Centre in the Department of Material Sciences and Engineering at the University of Sheffield, to develop best in class processes for the preparation of CAD models for additive manufacture with Polygonica software. MachineWorks Ltd, based in Sheffield, is the provider of Polygonica, the solid modelling software toolkit for processing polygon meshes. MachineWorks Ltd are continually looking for innovative ways to apply their geometric modelling and computer graphics and wanted to demonstrate how their Polygonica software toolkit could be used in additive manufacturing. The Mercury Centre has many years’ experience of building demanding / complex components using additive manufacturing technologies that require the finest CAD models, so we were well placed to apply our knowledge to helping MachineWorks Ltd successfully test their Polygonica software. We worked with MachineWorks Ltd to apply their Polygonica software toolkit to industrial CAD models used for additive manufacturing of components for the automotive industry. 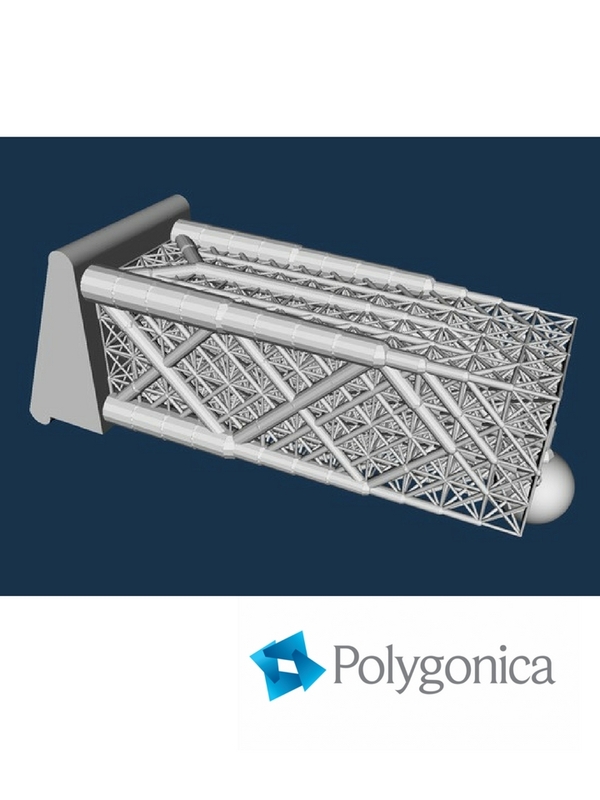 The Polygonica toolkit was used to identify and heal defects in the CAD models before the components were printed out. The Mercury Centre was able to demonstrate the software toolkit’s potential for maximizing productivity in additive manufacturing through the automatic detection and healing of industrial CAD models. See their YouTube video on ‘Preparing CAD Models for Additive Manufacturing’.